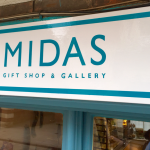 Midas Arts is a fabulously friendly independent Jewellery and Gift shop. 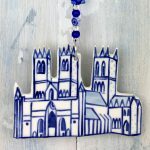 Full of beautiful things located in the historic Bailgate uphill area of Lincoln. 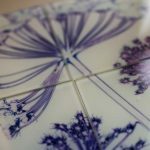 Our aim is to showcase local, national and internationally designed Jewellery, glassware, ceramics, and gifts. 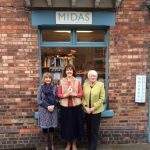 Midas is owned and run by Fiona, supported by Chris and Margaret who will be delighted to welcome you to Midas. Arts and Crafts Gallery in the historic Bailgate uphill area of Lincoln. We are on the Castle side of the Bailgate, going uphill towards Newport Arch.